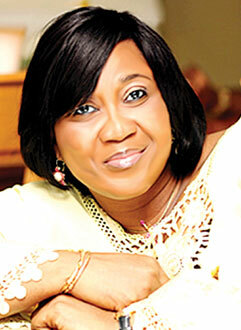 It is impossible to discuss public relations in Nigeria without any mention of Mrs Nkechi Ali-Balogun. Former Chairperson of the Nigerian Institute of Public Relations, NIPR, Lagos State Chapter, she has soared high in an industry she stumbled into 20 years ago. In her résumé you find loads of awards including the ‘Most Outstanding Public Relations Female Practitioner of the Year,’ which she clinched for two consecutive years from the NIPR. In this interview, Nkechi who is Principal Consultant/CEO of foremost public relations training firm NECCI Limited, unveils secrets behind her success in the industry and declares social media can neither devalue nor force public relations into extinction. You were last year honoured with the Working Mom of the Year award; how have you managed to excel as a wife, mother and PR professional? In spite of being a professional, I believe my prmary function is to be a wife to my husband and a mother to my children. So, my family comes first always. I actually feel a woman’s crowning glory at the end of the day is her family. My husband Mahmood Ali-Balogun and I have been together for over 30 years while I’ve been a registered member of the Nigerian Institute of Public Relations since 1995. From the onset, I’ve always put my home first. Putting family first doesn’t mean career will suffer. It’s simply being able to identify priorities and ensuring they do not clash. This also involves the ability to make good choices when conflict arises. For me, any business dealing that will conflict strongly with my family must have to be compromised. There are for instance conferences I do not attend because of family engagements. I weigh my options, count my cost and make my choice. After all, what does it profit me if my business grows and my family suffers? I desire my business to grow but I also want it to grow alongside a stable family. For how long has NECCI been in existence? We’ve been on since 1995. What actually led me into private practice was because paid employment was no longer convenient. That was when my office was moved to Abuja and I had to fly every weekend from Abuja to Lagos to join my family. 7.am every Monday I was always at the airport, rushing back to Abuja to resume work. Then I was head of Corporate Affairs at the Nigerian Export/Import Bank. I eventually decided to return to Lagos and channel my energy into setting up my own business and that gave birth to NECCI. What was it like leaving a flourishing paid-employment for a world of uncertainty? I tell you, when you leave paid employment to start your own business, that first year, you’re like a fish popped out of water. All the pecks of office varnish and you also realise the friends you thought you made at work are actually not your friends. As soon as you leave, they disconnect. When you call them, they want to quickly do away with you because they think you need something from them. They just believe you’re no longer relevant. People you thought will also help you stand turn their back on you. I remember I almost gave up on private practice in the first three years. I however got used to those shocks with time and I must say God has been faithful; and my husband too. Don’t you fear growing trends in social media might soon send your profession and business into obscurity? Public relations is beyond posting on Facebook or any social media. We have what we call ‘Online Reputation Management’ and a PR practitioner still has to study that. Online PR is a professional arm of public relations and there are strategies to it. It’s not just pasting things on people’s timeline. I do not think anything can outshine public relations because the scope of PR can only get wider and wider. Our elders in PR never thought the profession could be the way it is today and in fact, many of them can’t even handle it anymore because it just keeps expanding each day. It went from press agentry to public relations to brand communications, corporate communications and so on. They are all offshoots of public relations. So, have you considered branching into online PR? No one can do everything. My area of strength is rendering trainings in public relations and I actually identified that area a long time ago when I saw there was a need gap. That gap is still there, though. The best I can do now is offer consultancy in online PR but to tell you I’m managing your blog, I do not have that energy even though I have the expertise. I believe older people must understand younger professionals are coming up and must also know when to bow out in certain areas. There are younger ones coming up with better ideas and also looking for ‘space’. So, the only way I can encourage them is to allow them do what they will do better than myself and that’s in the area of social media. Of course, I know a lot about social media and I am active on its various platforms. What pillars have kept NECCI in business these past 20 years? Hardwork, strong faith in God and tenacity. I stress these because the business environment in Nigeria is very interesting but God has given me grace to not compromise. NECCI is a contented company with integrity. We bring to bear the fact that everything we do brands us, so, we are very careful when it comes to quality, image and rating. We’ve also started what we call ‘Edu Tours’ in which we take participants either out of the country or away from states where they work so as to avoid distractions, such as being called back to work by employers during training. Yes. I actually wanted to be a Lawyer or a Journalist. I was however admitted into the university to do English Education. Eventually, I found myself in the Nigerian Television Authority where I was again refused as a broadcaster after a voice test but got employed in programmes. I tried one or two acting along the line while still hoping I would find my way into broadcasting but soon found out I wasn’t cut out for acting. Along the line, I got my first job in a bank as a pioneer staff to start its public relations unit and that was the beginning. Not at all. The only area I would have regretted settling for PR is the area of people believing that you’re jumping around with men simply because the job connects you with top people in the society. But I never had that problem because my husband believes in me and always gives me his blessings whenever I go out on business. On my part, I never mess up because I’ve made a decision in life not to abuse the liberty my spouse has given me.